We recently picked-up our new passport through DFA Robinsons mall Ilocos Norte last January 23, 2019. It is located in the old Robinsons Building, 2nd floor just turn right when you take the escalator and go straight, just beside the Handyman (same thing if you took an elevator). 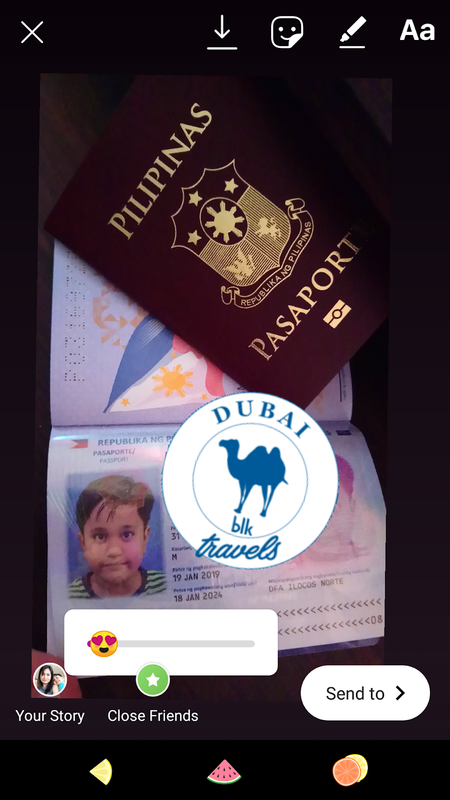 My son was so excited about it especially when we planned and decided to give him a surprise birthday gift, and that is a tour package in Dubai, where his dad is working as an OFW. Finally, he has a chance to visit him although he will take his vacation here this year and of course, he is happy to tour for the first time abroad with his Daddy at a young age. Back to application of passport in our province, DFA Robinsons mall San Nicolas, Ilocos Norte. You have to complete the requirements before getting inside to their office. I must say that the requirements for adult is so ordinary to you, I will just comment here regarding to the parents who want to apply their child's passport. From what I observed, since it has recently opened and had just established a strict implementation this month regarding the requirements, dress code and processing. To those who did passporting before, children does'nt need an Identification Card or ID, it was just a Birth Certificate and nothing else but it does still need to attend for Appearance. Walk-in applicants can only enter and wish to get form personally, may use the benefit of what they call "COURTESY LANE". No one can enter if you are not pregnant, senior citizens, a single parent and children age 7 years below. If you are not qualified to use the courtesy lane, you must apply via online and also children age 8 years old and above. The flaws when you're applying online without inquiring to the dfa and if you are just going there for passport renewal, you might get confused since the online form is kinda tricky ( forms online is the same to the form you get on the courtesy lane) Here's why...you will notice a box in the upper part of the form and as you know maybe b'coz you applied so many times before, you might think that it is for the requirement only, the box just indicates as a checklist. And if you are in a rush what you might get or perceived is the requirements for adults and children are the same....it's a history I guess. The mere fact that when you take a look at the personal details of your child, the school is not indicated or mentioned. Well, you know not all students have an ID. The ID was only indicated below after the boxes that you are going to check which is the processing or the actual procedure meaning when you are in the office. That's it! It's really hassling when you read online with so many paragraphs and there you'll find bring necessary documents original and photocopy and then "Bring ID, if applicable". Applicants must wear proper dress code, no slippers, sando or sleeveless, short pants or mini skirts. Just wear clothes that make you look decently. Well, before, no round or v-neck shirts but now you can actually wear them and even sandals but not like flip-flops. If you have seen the available time online which is from 7am until 9pm...uhm that...I don't know if it applies there because if we go for malling I observed that no one is assisting there around 4 pm (well it goes the same in dfa manila). I think it's safer to follow the right time like in regular working hours in the government. For releasing section, My son & I had applied for a "group application" so we had no problem about it, passport came exactly at the said release date but when I checked on their facebook page, I had read that delivery had caused delay I just don't know if they applied for a "single application" or group. And take note for the time of Releasing of Passport...The parent will be the only authorized one for getting the passport of your child, no proxies and since my son has an ID ( and there applied the "Bring ID, if Applicable) you need to bring it. The guard said that the authorized person needs to present his/her ID plus the ID of the child. I think it's ok if you don't bring your child anymore. But what about the children without ID, oh no! he wasn't able to tell me...but the personnel inside the passporting area did not tell me that the child needs for appearance. Just bring the printed receipt with the stamped released date on it because it is also required. And there you go...happy trip! Let's just wait for further improvement since it is still new but I'm happy about their service and want this to recommend. I hope readers could pass by here and thanks for reading. I hope,it helped.